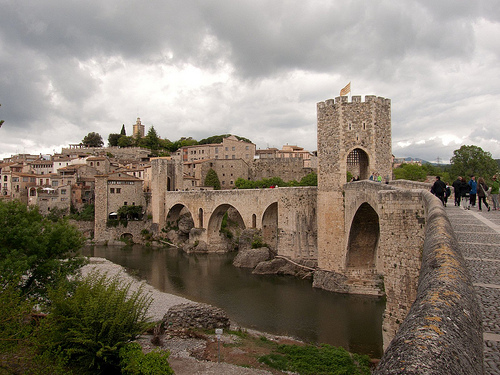 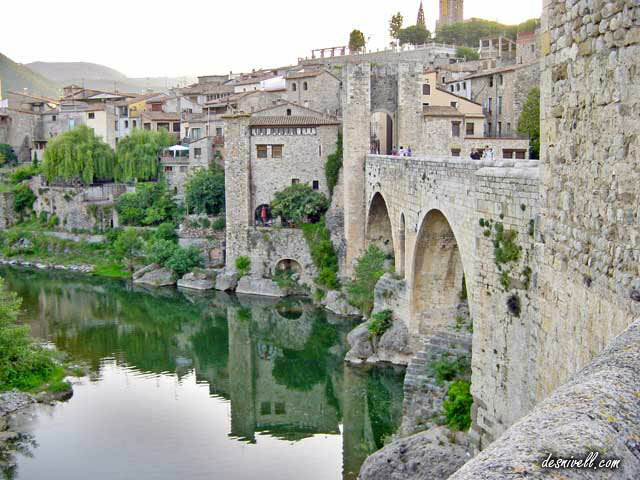 The medieval town of Besalú was designated as a historical national property in 1966. 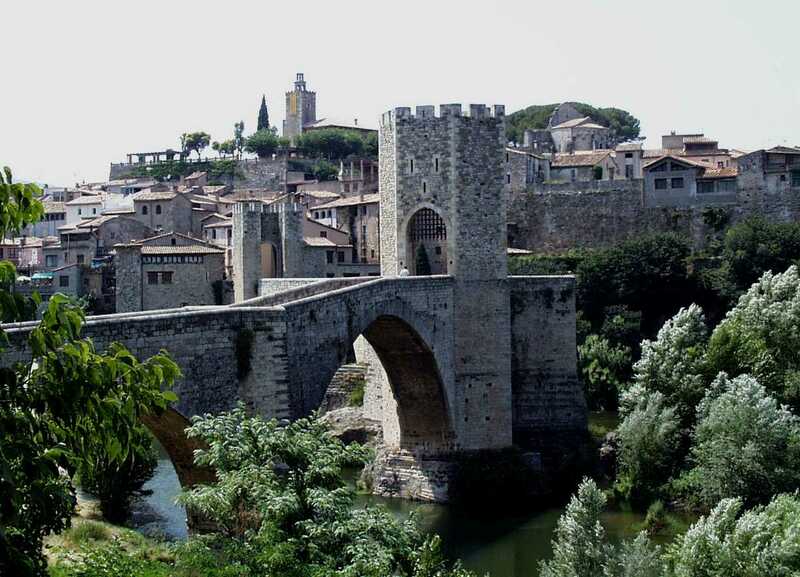 The town’s most significant feature is its 12th-century Romanesque bridge over the Fluvià river, which features a gateway at its midpoint. 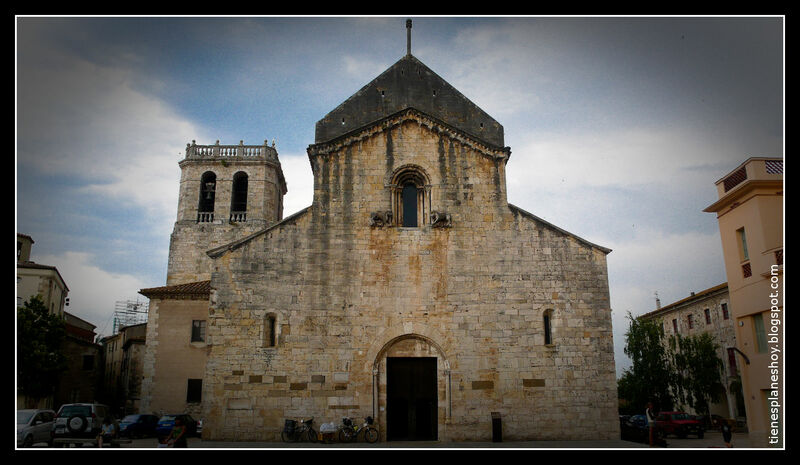 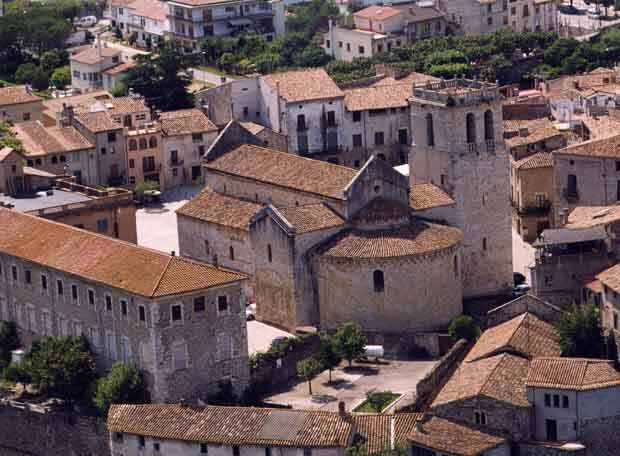 The church of Sant Pere was consecrated in 1003. 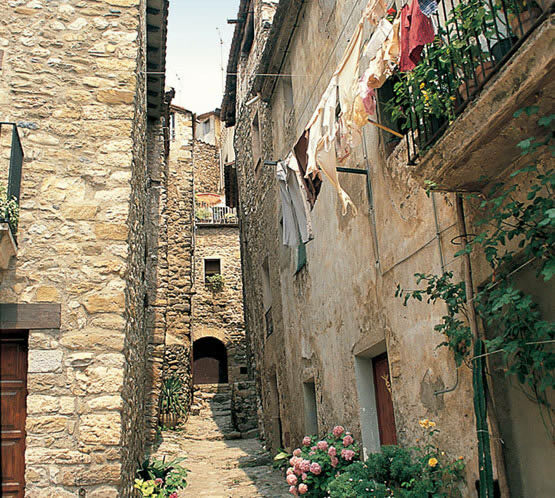 The town features arcaded streets and squares and also a restored mikveh, a ritual Jewish bath dating from the eleventh or twelfth century, as well as the remains of a medieval synagogue, located in the lower town near the river.